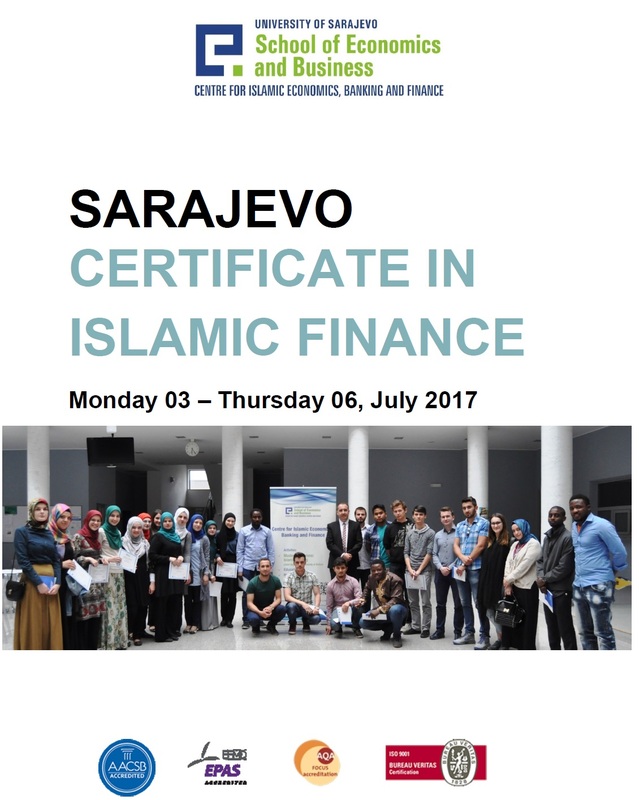 It is a great honor to invite you to the summer course Certificate in Islamic Finance Sarajevo 2017 (CIFS 2017) which will be held 3rd July - 6th July 2017 at the Centre for Islamic Economics, Business and Finance, School of Economics and Business Sarajevo, Bosnia and Herezegovina. 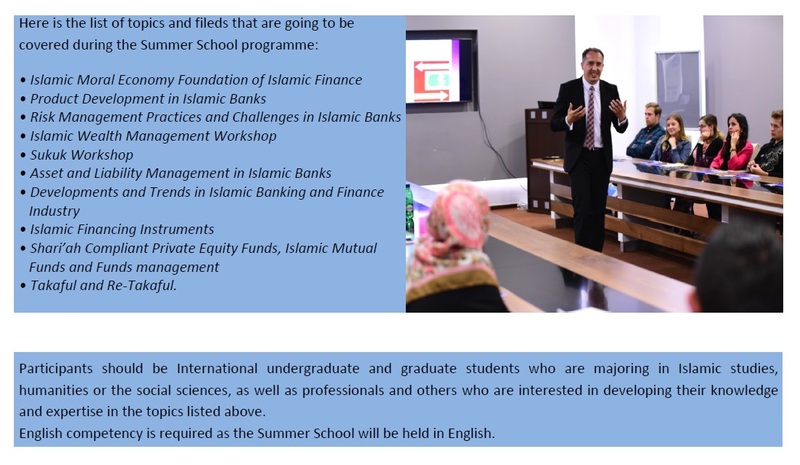 Please notice that registration is required for attendance. Places are limited. 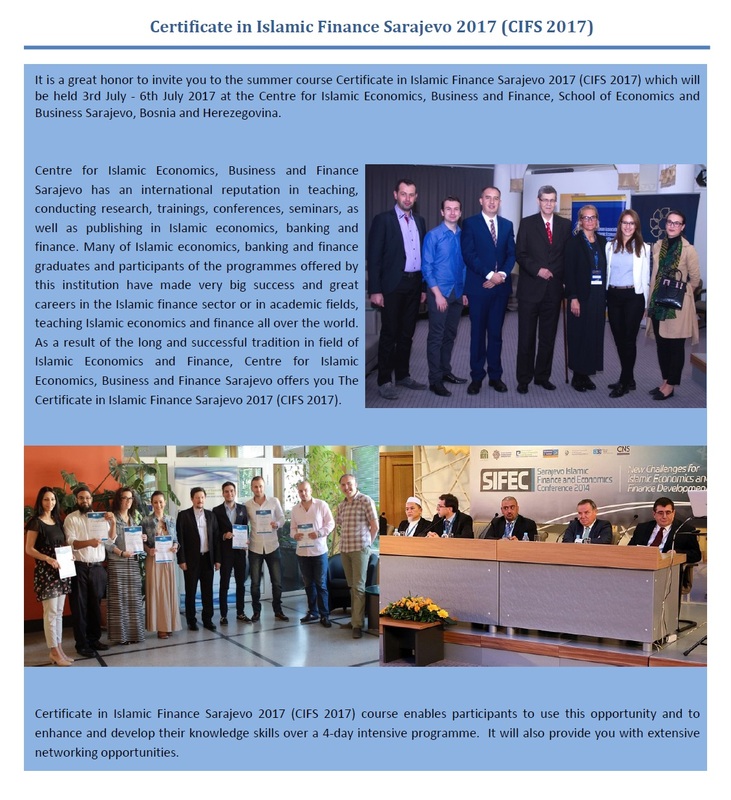 Those interested, should complete and submit the application form on the following link: https://goo.gl/forms/ho8hsMUL7pjL6ZD02.